Keep your personal and company information up-to-date. Change your profile details. Manage your portal login. Download our latest product pricelists by vendor. E-commerce syndication tools for online customers. CSV and XML auto-generated feeds. View upcoming marketing, sales and training events hosted by Tarsus Distribution and our Vendors. Online RSVP and directions to all major events. Check if your warranty is still active. Inventory for your ESD purchases. Track the status of your order. 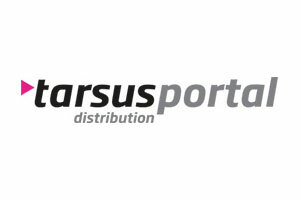 Tarsus Distribution Portal. Exclusive to Tarsus Distribution Resellers. All the Reseller tools needed in one place 24/7. Order your stock online today! this facility. Standard terms and conditions apply. You've made 3 unsuccsesful login attempts. Your account is locked please check your mail for instructions. 1. The goods means the goods as indicated on any company forms, price lists, quotations, orders or invoices. These terms and the most recent standard terms and conditions of sale of Tarsus Distribution (Pty) Ltd (“Tarsus Distribution”) shall apply, to the exclusion of all of the customers’ terms, to all quotations, orders and to the sale and delivery of any goods or services. The standard terms and conditions are available on request and on our website (Insert a link to our website). We reserve the right to change the standard terms and conditions from time to time by notice or publishing updated terms and conditions on our website. Foreign Exchange: prices quoted are subject to foreign currency fluctuations. In the event that the rand fluctuates against the applicable foreign currency from the date of this quotation until the approved purchase orders are received by Tarsus Distribution, Tarsus Distribution reserves the right to re-quote and change the amount payable by the customer in respect of such goods by the percentage of such change. A new purchase order will be required before ordering goods. In the event of the shipping, airfreight or other transportation costs increasing between the date of this quotation and the date on which the goods are received by Tarsus Distribution, Tarsus Distribution reserves the right to increase the price of the goods sold in accordance with such increase. In the event of a manufacturer’s price being increased between the date of this quotation and the date on which the goods are received by Tarsus Distribution, Tarsus Distribution reserves the right to increase the price of such goods in accordance with the manufacturer’s increase. A purchase order placed against this quotation is deemed to be and shall constitute acceptance of this quote, these terms and the most recent standard terms and conditions of sale of Tarsus Distribution. Tarsus Distribution reserves the right to invoice customers for goods ordered which were procured upon written request either via a non-cancellable irrevocable order, official purchase order or an email instruction received. Tarsus Distribution also reserves the right not to accept any order. Acceptance by Tarsus Distribution of any order and all delivery obligations are always subject to the availability of the goods. All goods shall remain the property of Tarsus Distribution until paid for in full and are sold only with the original equipment manufacturers warranty. Tarsus Distribution gives no additional warranty on goods save to the extent expressly provided in any South African law. Errors and Omissions are exempted and shall not bind Tarsus Distribution. Tarsus Distribution reserves the right, at any time, to correct any error or omission. Unless otherwise stated in the quote, prices exclude VAT. We advise our reseller partners to include our standard quote terms and conditions when quoting your end customers. 3.1 The customer shall pay the amount on the tax invoice at the offices of Tarsus. Payment is due immediately save for credit approved customers, in which event payment is due within 30 days of date of the tax invoice. 3.2 Where the customer uses a postal service to effect payment to deliver or return goods such postal services shall be deemed to be the agent of the customer. Likewise, where the customer uses Internet banking, the bank shall be deemed to be the agent of the customer. 3.3 The customer has no right to withhold payment or make set offs or deductions from any payment due by it for any reason whatsoever. No extension of payment of any nature will be granted unless reduced to writing and signed by the customer and a duly authorised representative of Tarsus. 3.4 Tarsus shall have the right to suspend deliveries and to exercise its rights in terms of clause 4 if any amount due by the customer is unpaid. 3.5.2 cancel the sale and take possession of any goods delivered to the customer, including goods sold or disposed of by the customer which have not been paid for in full, and claim damages. 3.6 Should any amount not be paid by the customer on due date, the full outstanding amount in respect of all purchases by the customer shall become due and payable, and the customer shall be liable to pay interest in respect of amounts unpaid at the compound rate of a 5% (five per cent) above the prime overdraft rate of Nedcor Bank Limited on all overdue amounts from due date until date of payment, calculated and payable monthly in advance. A certificate from Nedcor Bank Limited, signed by any manager of such bank, whose authority and capacity it shall not be necessary to prove, shall be prima facie proof of the interest rate charged. 3.7 Tarsus shall not bear any risk associated with the loss of cheques sent via post by the customer. 4.1 Tarsus’ decision to grant credit facilities to the customer and the nature and extent thereof is at the sole discretion of Tarsus. 4.2 Tarsus reserves the right to withdraw, increase or decrease any credit facilities at any time without prior notice. 5.1 The customer hereby confirms that the goods and services on the tax invoice issued duly represent the goods and services ordered by the customer at the prices agreed to by the customer and where performance/delivery has already taken place that the services and goods were inspected and that the customer is satisfied that these conform in all respects to the quality and quantity ordered and are free from any defects. 5.2 Tarsus will accept all written and oral orders. All such orders and any variations to orders will be binding, subject to these standard terms and conditions and may not be varied or cancelled without prior written consent from Tarsus. Tarsus will not be responsible for any errors or misunderstandings occasioned by the customer’s failure to make the order in writing. 5.3 Orders shall constitute irrevocable offers to purchase the goods in question at the usual prices of Tarsus as at the date when the customer places the order of the goods, subject to clause 2.4 above, and shall be capable of acceptance by Tarsus by the delivery of the goods, written acceptance or confirmation of the order. 5.4 The customer shall provide Tarsus with an order number when placing an order. 5.5 Any order marked for “Collections” and not collected within 3 days of placing the order will automatically be credited back into the system. 6.1 Any delivery note (copy or original) signed by the customer and/or its authorised representative and/or its nominated agent and held by Tarsus, shall be prima facie proof that delivery was made to the customer. 6.2 Tarsus shall be entitled to split the delivery of the goods ordered in the quantities and on the dates it decides with the prior consent of the customer, which consent shall not be unreasonably withheld. 6.3 In the event of the customer choosing to engage its own third party to transport the goods, the customer indemnifies Tarsus against any claims of any nature whatsoever that may arise from such an agreement. 6.4 Tarsus is entitled to engage a third party on its behalf to transport all goods purchased by the customer to the delivery address stipulated by the customer. 6.5 Should the customer wish to receive delivery of the goods by a more expensive method of transportation than that normally used by Tarsus, the customer shall make such request in writing and, in the event that Tarsus agrees to arrange such special delivery the additional charges shall be debited to the customer’s account and shall be payable by the customer. 6.6 Tarsus does not guarantee that the goods will be dispatched or delivered on any particular date and time, and the customer shall have no claim against Tarsus in respect of any loss occasioned by any reasonable delay in dispatch or delivery of any goods ordered and/or services rendered, nor may the customer cancel any order by reason of such reasonable delay. 6.7 Short deliveries must not be accepted and all the goods must be given to the driver of the delivery vehicle for return to the company. 6.8 Goods received in a damaged condition must either be rejected or accepted and a note of the item and type of damage made on the front of the invoice. Were the goods are rejected, the entire delivery must be returned as per 6.7, above. 6.9 All goods taken on an evaluation, approval, demonstration basis or all goods taken on consignment by the customer are deemed sold to the customer within 5 (five) working days of issue if not returned to Tarsus in a perfect condition in the original packaging and with all accessories and manuals intact. 6.10 Tarsus reserves the right to charge delivery charges, as and when necessary (R50 delivery charge for any order under R2 000). 7.1 All risk in and to all goods sold by Tarsus to the customer shall pass to the customer on delivery thereof. Ownership in all goods sold and delivered shall remain vested in Tarsus until the full purchase price has been paid, and in the event of a breach of these terms and conditions by the customer, or if the customer is sequestrated or placed under liquidation or judicial management or commits any act of insolvency or enters into any compromise with its creditors or fails to satisfy a judgment granted against it within 7 (seven) days of the date of judgment or changes the structure of its ownership, Tarsus shall be entitled to take possession of the goods without prejudice to any further rights vested in Tarsus, and is hereby irrevocably authorised to enter upon the customer’s premises to take possession of such goods without a Court order. 7.2 Goods in the possession of the customer bearing Tarsus’ name, trademark, labels and/or serial no are deemed to be those for which payment has not yet been made, and should any breach of these terms occur, may be re-possessed by Tarsus in terms of paragraph 7.1 above. The customer shall fully insure the goods purchased from Tarsus against loss or damage until the customer has paid the full purchase price for such goods. Pending payment to Tarsus for goods purchased, all benefits in terms of the insurance policy relating to the insurance of such goods shall be ceded to Tarsus. 7.3 The customer shall inform the landlord of the premises at which the goods are kept that such goods are the sole and absolute property of Tarsus until such time as the customer has paid the full purchase price to Tarsus. 8.1 In the event of a breach by the customer, should the customer fail to remedy such breach within 48 (forty eight) hours after receipt of notice to that effect from Tarsus, or should the customer repeatedly breach this agreement in such manner that the customer’s conduct is inconsistent with the intention or ability of the customer to carry out the terms of the agreement, or if the customer is sequestrated or placed under liquidation or enters into judicial management or any act if insolvency or enters into a compromise with its creditors or fails to satisfy a judgement granted against it within 7 (seven) days of the date of judgement or changes the structure of its ownership, Tarsus shall be entitled without prejudice to its rights in law or in terms of this agreement to take possession of the goods and is hereby irrevocably authorised to enter upon the customer’s premises to take delivery of such goods without Court order. 8.2 No claim, from customer, under these terms and conditions will arise unless the customer has, within 7 (seven) days of the alleged breach or defect occurring, given Tarsus 30 (thirty) days written notice by pre-paid registered post to rectify any defect or breach of contract. 9.2 Tarsus shall, at its option and notwithstanding that the amount of its claim or the nature of the relief sought exceeds the jurisdiction of the Magistrate’s Court be entitled to institute action out of such court. 9.3 A certificate issued and signed by any director or manager of Tarsus, whose authority need not be proved, in respect of any indebtedness of the customer to Tarsus or in respect of any other fact, including but without limiting the generality of the aforegoing, the fact that such goods were sold and delivered, shall be prima facie proof of the customer’s indebtedness to Tarsus and prima facie proof of delivery of the goods in terms of this contract. 9.4 Any print out of computer evidence tendered by Tarsus shall be admissible evidence and the customer shall not be entitled to object to the admissibility of such evidence purely on the grounds that such evidence is computer evidence. 9.5 The customer’s address in Section A, of the credit application form shall be recognised as the customer’s domicilium for all purposes in terms of this contract whether in respect of the serving of any court process, notices that payment of any amount or communications of whatever nature. 9.6 In the event of the customer breaching any of its obligations and/or failing to timeously make payment of any amount to Tarsus, the customer agrees to pay, and shall be liable to pay, all legal costs incurred by Tarsus in enforcing its rights in terms of these terms and conditions on the attorney/own client scale including collection charges, tracing agent’s fees, air fares and export fees. 9.7.5 24 (twenty-four) hours of being telexed to the customer’s telex number. 9.8 The customer agrees that neither Tarsus nor any of its employees will be liable for any negligent or innocent misrepresentations made to the customer, nor shall the customer be entitled to resile from these terms and conditions on those grounds. 10.1 Tarsus may refer any dispute arising from or in connection with this contract to arbitration which arbitration award shall be final and binding on the customer and Tarsus. 10.2 The arbitrator will be a person agreed upon by the parties or failing agreement, appointed by the Arbitration Foundation of Southern Africa, who shall then finally resolve the dispute or issue in accordance with the Rules of the Arbitration Foundation of SA. 10.3 The arbitration must be held at the place and in accordance with whatever procedures, the arbitrator considers appropriate. 11.1 Acceptance of a negotiable instrument from the customer shall not be deemed to be a waiver of Tarsus’ rights under this contract. In relation to cheques furnished by the customer to Tarsus, the customer waives its right to insist on notice of dishonour or protest being given to it on the event that the cheque is dishonoured. 12.2 the customer may return any defective goods to the premises of Tarsus or its nominee at the customer’s own cost. 12.2.1.1 the difference between the selling price and the value of the goods at the time that the debt became due. 12.2.1.2 the value of any repossessed goods or retained pledge goods will be deemed to be the value placed on them by any sworn valuator after such repossession and such valuator will be prima facie proof of the value. 12.2.2 in the event of a cancellation of an order by the customer for goods accepted for return my Tarsus, Tarsus reserves the right to charge a handling fee of up to 15% (fifteen) on the value of the order cancelled or goods returned. 12.2.3 the credit control department must be notified of the relevant invoice, packing slip and batch numbers before any claim will be considered. 12.3 Tarsus will follow the policies on any returned and/or faulty goods as prescribed by the vendor responsible for the brand of goods. Details of prescribed vendor policies are obtainable from Tarsus. 13.1 Goods may be guaranteed under the manufacturer’s product specific warranties only, and all other guarantees and warranties including common law guarantees and warranties in relation to goods and services are hereby specifically excluded by Tarsus. 13.2 All guarantees are immediately null and void should any equipment be tampered with or should the “seals” on the equipment be broken by anyone other than Tarsus or its appointed nominee, or should the goods be operated outside the manufacturer’s specifications. 13.3 To be valid, guarantee claims must be supported by the original tax invoice and the goods must be in their original packaging and must be accompanied by all accessories and manuals must be intact. All items must be returned in “as new” condition. 13.4 No warranties whether express or implied shall apply, other than those provided in this contract. Tarsus specifically disclaims the implied warranty of merchantability and fitness for a particular purpose. No representation or warranty, including but not limited to statements of capacity, suitability for use or performance made by employees of Tarsus shall be considered to be a warranty by Tarsus. Any such statements made shall not give rise to any liability or whatsoever nature on the part of Tarsus, its employees, subcontractors or subsidiaries. Tarsus will not be liable to the customer for any loss, damage or expense of any nature, whether direct, special, indirect or consequential, including but not limited to loss or profits arising out of Tarsus’s performance or customers’ use of the goods or services rendered. 13.5 The customer indemnifies and holds Tarsus (including its employees, subcontractors or subsidiaries) harmless against all claims of whatsoever nature that may be brought or threatened against Tarsus by any third party arising from or in connection with any defect, latent or otherwise in any goods supplied and/or services rendered by Tarsus. 13.6 The customer shall not duplicate copyrighted material. In the event of the customer duplicating copyrighted material, each attempt to do so will immediately render the full prevailing price in respect thereof payable to Tarsus. 14.1 Tarsus’s liability in terms of a manufacturer’s warranty is restricted to, in Tarsus or the manufacturer’s discretion, the cost of repair or replacement of faulty goods or services or the granting of credit. 14.2 In the case of repairs undertaken by Tarsus repair quotes given are merely estimates and are not binding on Tarsus. 14.3 The customer hereby agrees that any item returned for a repair may be sold by Tarsus to defray the cost of such repair if the item remains uncollected for a period of 30 (thirty) days after the repairs have been completed. 15.1 Tarsus reserves the right in its sole discretion to vary or amend these terms and conditions from time to time and any such amended or varied terms and conditions shall be binding on the customer from the time that the customer is notified thereof. 15.2 This contract represents the entire agreement between Tarsus and the customer and shall govern all future contractual relationships between Tarsus and the customer. 15.3 No amendment and/or alteration and/or variation and/or deletion and/or addition and/or cancellation of these terms and conditions, whether consensual or unilateral or bilateral shall be of any force and effect unless reduced to writing and signed by a director of Tarsus. No agreement, whether consensual or unilateral or bilateral, purporting or obligate Tarsus to sign a written agreement to amend, alter, vary, delete, add or cancel these terms and conditions shall be of any force and effect unless reduced to writing and signed by a director of Tarsus. 15.4 No relaxation or indulgence with Tarsus may grant the customer shall prejudice or be deemed to be a waiver of any Tarsus’ rights in terms of these terms and conditions. 15.5 The customer shall not cede its rights nor assign its obligations under these terms and conditions. 15.6 Tarsus shall at any time in its sole discretion be entitled to cede all or any of its rights in terms of this terms and conditions to any third party without prior notice to the customer. 15.7 The customer undertakes to notify Tarsus within 7 (seven) days of any change of address or change of in director, shareholder, address or the information as set out in this contract. 15.8 The headings in this document are included for convenience and are not to be taken into account for the purpose of interpreting this contract. 15.9 Each of the terms herein shall be a separate and divisible terms and if any such term becomes unenforceable for any reason whatsoever, then that term shall be severable and shall not affect the validity of the other terms. 15.10 The customer undertakes to inform Tarsus in writing at least 14 (fourteen) days prior to the intended selling or alienating of the whole of or any part of the customer business and failure to do so will constitute a material breach of this contract entitling Tarsus to cancel the contract without further notice to the customer. 15.11 Sales of certain goods are subject to the US Government enhanced proliferation control initiative (EPCI) which states that these goods may not be sold to or be used for the purpose of nuclear weapons/explosive devices, for chemical or biological weapons including key components for the production of such weapons, or for the purpose of missiles or missile systems which deliver weapons for mass destruction. The customer undertakes to exercise due care to ensure that no such restrictions are breached by it. 15.12 Goods are manufactured for standard commercial use, and are not intended for use in critical safety systems or nuclear facilities. 16.1 The customer understands that the personal information given in this credit application form is to be used by Tarsus for the purposes of assessing credit worthiness. The customer confirms that the information given in this credit application form is accurate and complete. The customer further agrees to update the information supplied as and when necessary in order to ensure the accuracy of the above information failing which Tarsus will not be liable for inaccuracies. 16.2 Tarsus has the customer’s consent at all times to contact and request information from any persons, credit bureau or businesses including those mentioned in the credit application form and to obtain any information relevant to the customer’s credit assessment, including but not limited to information regarding the amounts purchased from suppliers per month, length of time customer has dealt with each supplier, type of goods purchased and manner and time of payment. 16.3 The customer agrees and understands that information given in confidence to Tarsus by a third party on the customer will not be disclosed to the customer. 16.4 The customer hereby consents to and authorises Tarsus at all times to furnish credit information concerning the customer’s dealing with Tarsus to a credit bureau and to any third party seeking a trade reference regarding the customer in his dealings with Tarsus. Unless we state a specific limitation, Tarsus Distribution will attempt to have sufficient advertised stock available to meet consumers’ anticipated demands. If we still run out of stock, we will attempt to obtain the stock or we will offer you a reasonable alternative. Tarsus Distribution takes the utmost care to ensure that all advertisements are correct. Prices exclude accessories used for display purposes and exclude 15% VAT. Subject to applicable law, we will not be liable for any damages suffered as a result of your use of our website. in the South Africa and other countries. All other trademarks are the property of their respective owners. Tarsus Distribution introduces its first reseller focused application. The Tarsus Reseller Application focuses on delivering quick and an easy product information to our customers whilst on the move or with their customers. This application allows our resellers to login, view that various brands and products available. Resellers will also have access to the latest Reseller pricing and stock availability indicators. Please note that digital purchases are final and cannot be reversed. Are you sure you want to continue? Delivery charges may apply. Delivery dates and times are dependent on your location and products ordered. The service will return as soon as possible. We apologise for the inconvenience. Please contact your nearest Tarsus office for stock assistance. Please note: We try our best to ensure the most accurate stock levels. Products move fast and availability may change at any second.